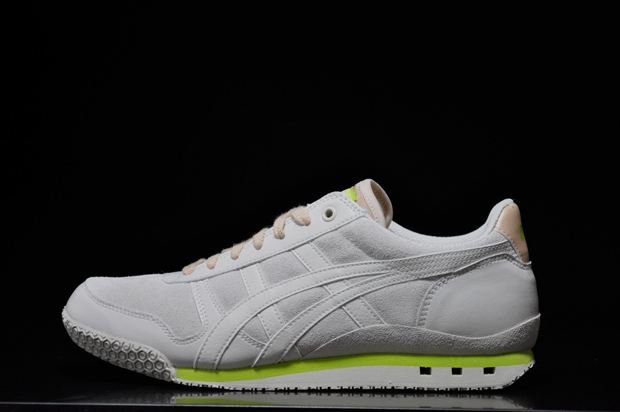 A technical heavyweight back in 1981, Onitsuka Tiger’s track runner the ‘Ultimate 81′ gets a premium make-over with some up to date colours added to the mix. 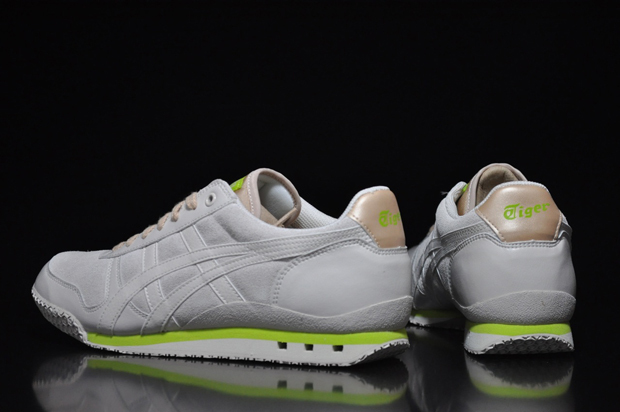 Utilising a full grain leather and suede upper, this version of the ‘Ultimate 81′ has all the right ingredients of a classic running shoe, with the ‘White Sand’ and hits of tennis ball green adding some modern colours to contrast the heritage feel. 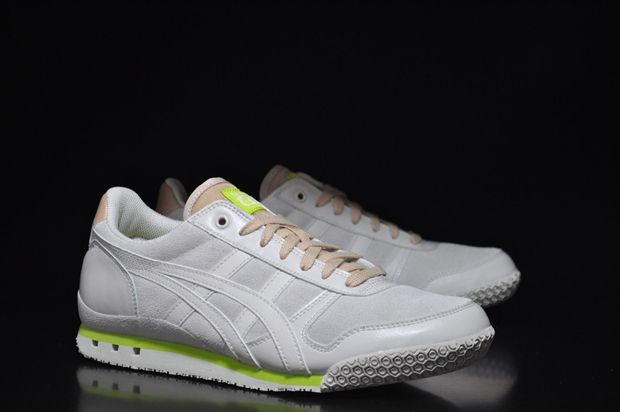 The wrap around outsole provides great traction and the design of this shoe was created with heel stability in mind.